OCEANSIDE — A new segment of the Coastal Rail Trail – a bikeway that will eventually span 44 miles from Oceanside to San Diego – has been completed in Oceanside and is now open to the public. A ribbon-cutting ceremony to mark the completion of the $2.45 million project was held April 7 on the north end of the project on Wisconsin Avenue just east of South Myers Street, next to a newly-installed bike rack. The bike project was funded by a mix of federal and local sources. About $1.52 million came from the federal Transportation Enhancements program. Another $931,000 comes from TransNet, the regional half-cent sales tax for transportation administered by SANDAG. 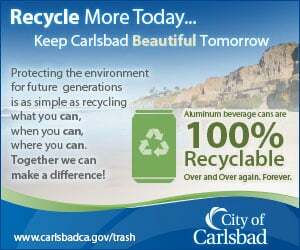 With grant funding from SANDAG, the city of Oceanside is planning to build a bike parking station next to the center. Oceanside Mayor Jim Wood and SANDAG First Vice Chair and Imperial Beach Mayor Jim Janney cut the ribbon. They were joined in the celebration by Oceanside Councilmember and North County Transit District Board Member Gary Felien, Oceanside Chamber of Commerce CEO David Nydegger and members of Bike Walk Oceanside. Located along the railroad between Oceanside Boulevard and Wisconsin Avenue, the 2,000-foot segment of the Coastal Rail Trail is a collaborative effort between SANDAG, the City of Oceanside, and NCTD. NCTD owns the public right-of-way where the bike path lies. Featuring landscaping on both sides and bollard lights, the Class I path is separate from vehicle traffic. The path connects with another Class I segment of the Coastal Rail Trail at Wisconsin Avenue, providing a direct ride to the Oceanside Transit Center. “Over the next decade, we will dramatically expand regional bike networks to enable people of all ages and abilities to get around on their bikes safely and comfortably,” Janney said. 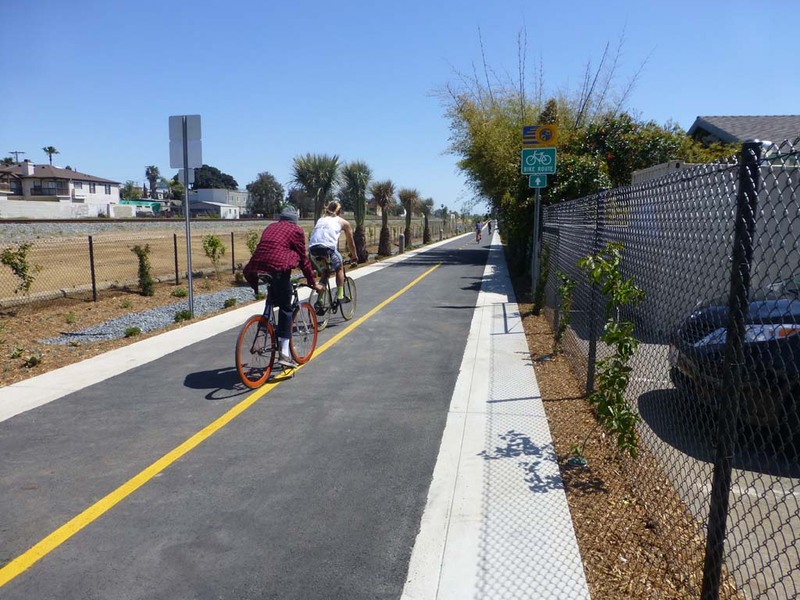 The Oceanside segment of the Coastal Rail Trail is the first project completed under the Regional Bike Plan Early Action Program (EAP), a $200 million initiative adopted by the SANDAG Board in September 2013. The EAP comprises 42 projects totaling 77 miles of bikeways. The goal is to complete these projects in a decade.